The days are getting longer, the temperatures are rising, and it’s starting to look a lot like summer at our little farmhouse! 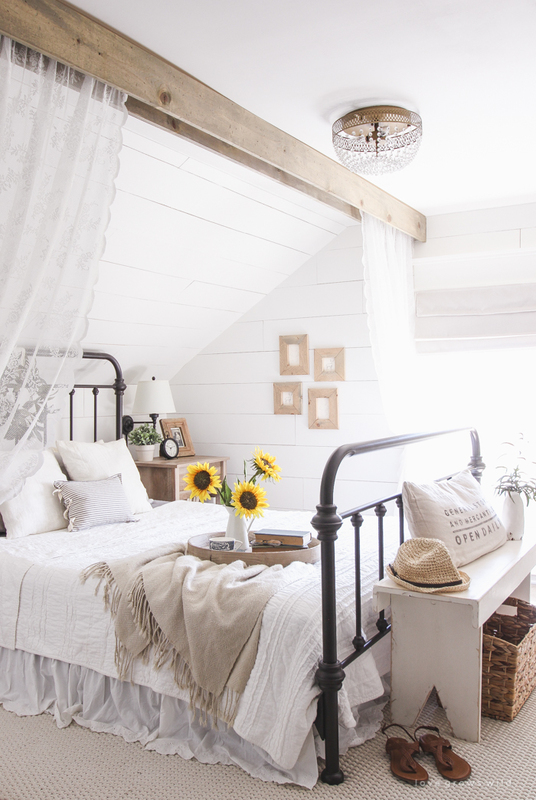 Today I’m going to give you a look at our (early) summer decor and share some of the rooms we’ve been working on lately. 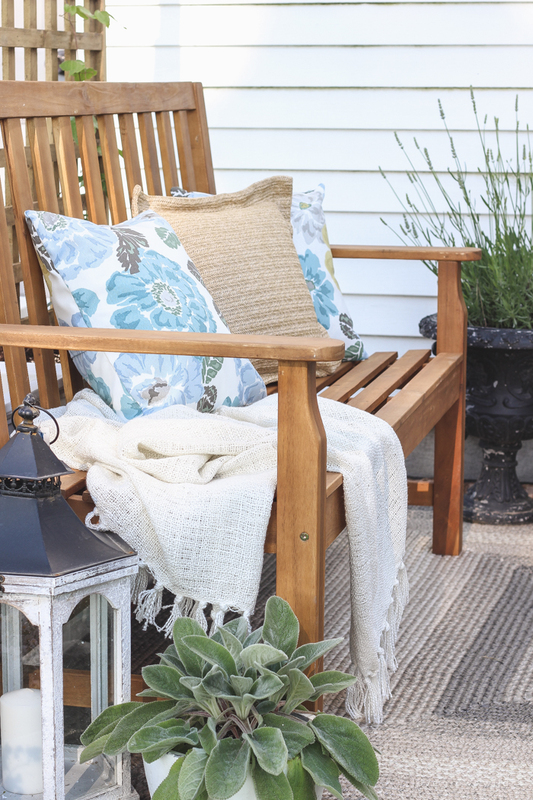 Welcome to the Celebrate Summer Home Tour! Come on inside! 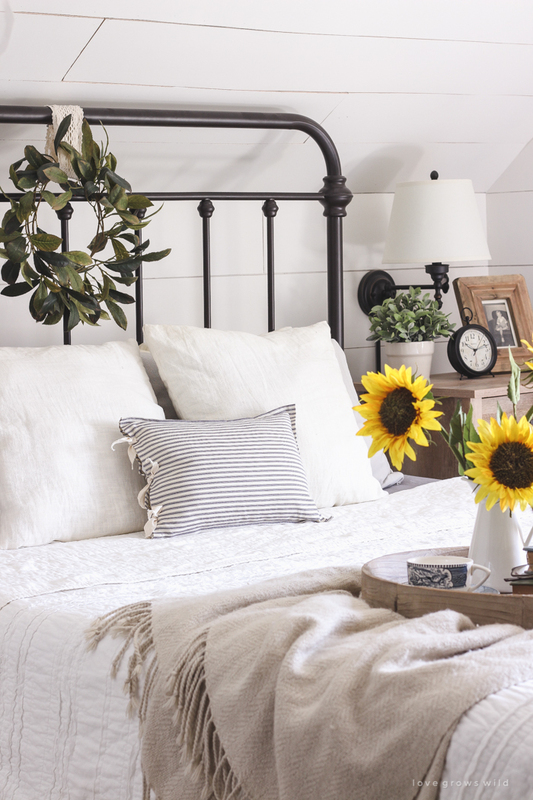 Here’s my motto for summer decorating: relaxed, casual, cozy, fresh. 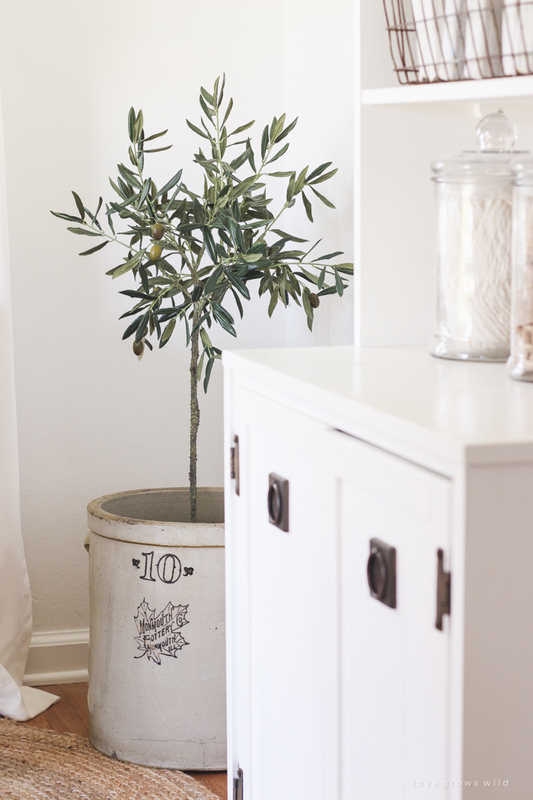 The kids are done with school starting next week, so my goal for summer decor is to keep things simple and relaxed. 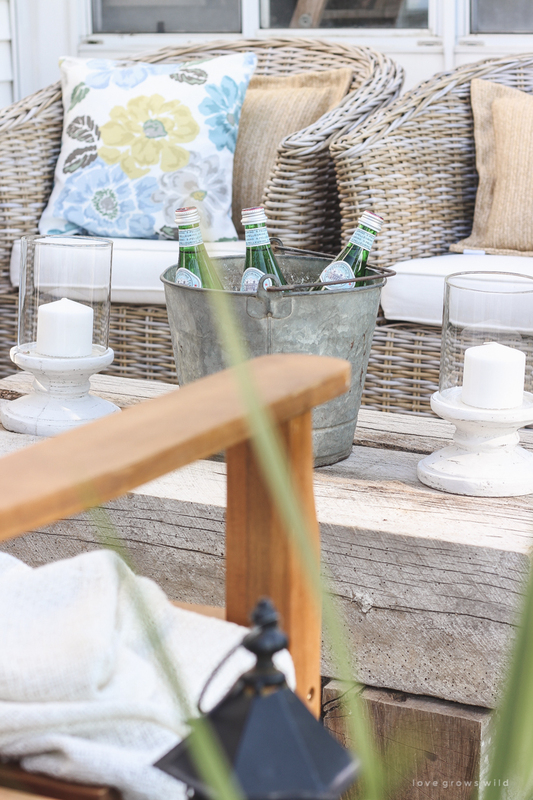 Nothing fancy or fussy… just a comfortable place for our family to enjoy the few precious months of summer we have. 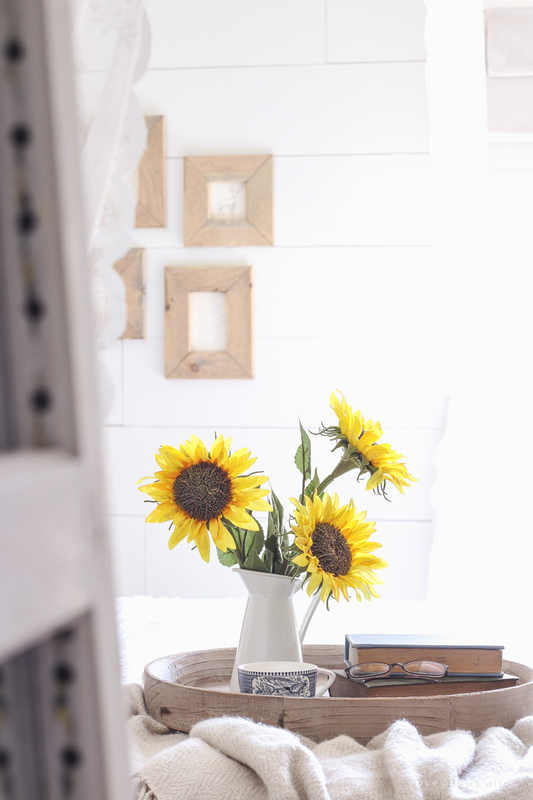 In our master bedroom, I set out a tray with some bright yellow sunflowers, which are fake for now, since it is still so early in the season. 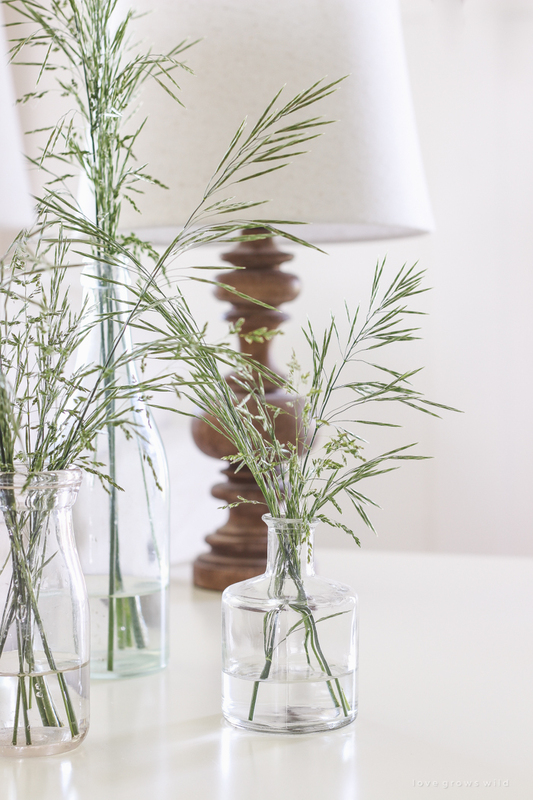 I love how such a simple vase of flowers can signify the beginning of a new season. 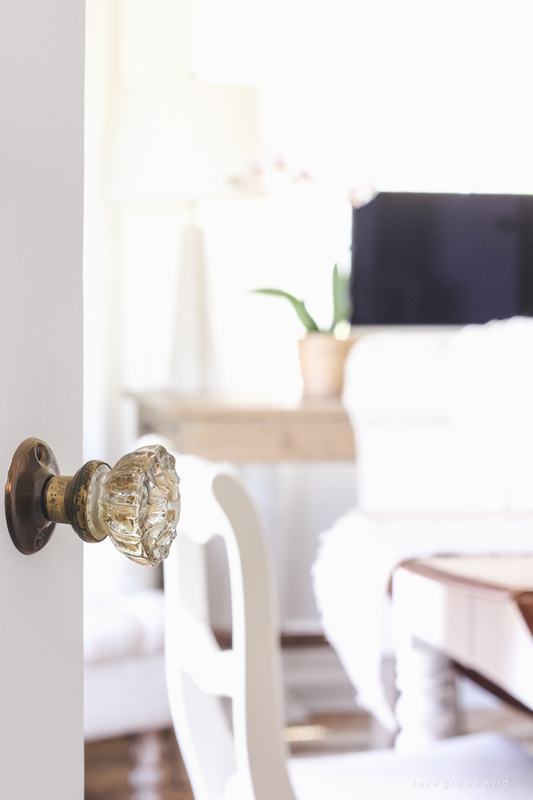 When I first started creating our home, I felt like I had to completely redecorate for every season, but over the years I’ve learned that less is definitely more. 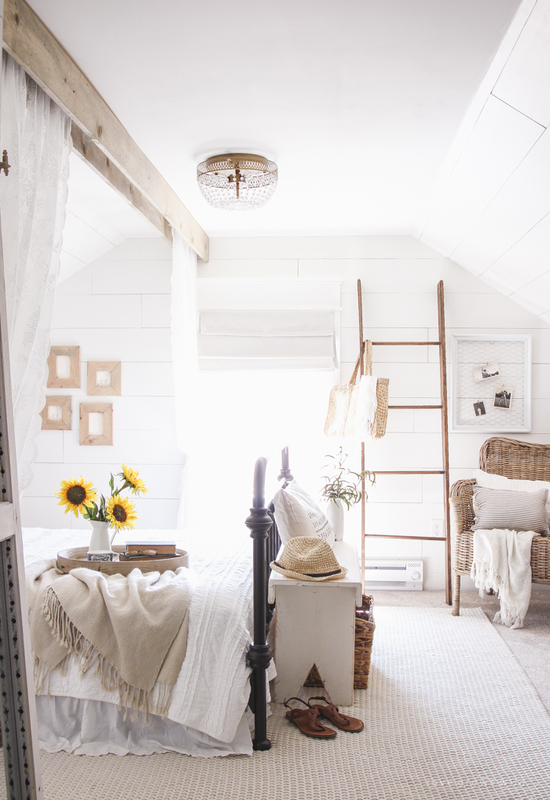 A pair of sandals on the floor, a beach hat sitting on the bench, and a market bag hanging on the ladder next to the window… all of these small, subtle touches give the whole room a feeling of summer. To make our neutral living room feel more like summer, I added simple hints of blue and green with pillows, plants, flowers, and books. We’ll be spending a lot of time in here over summer playing board games and having movie nights, so again, I wanted the whole room to feel casual and relaxed. 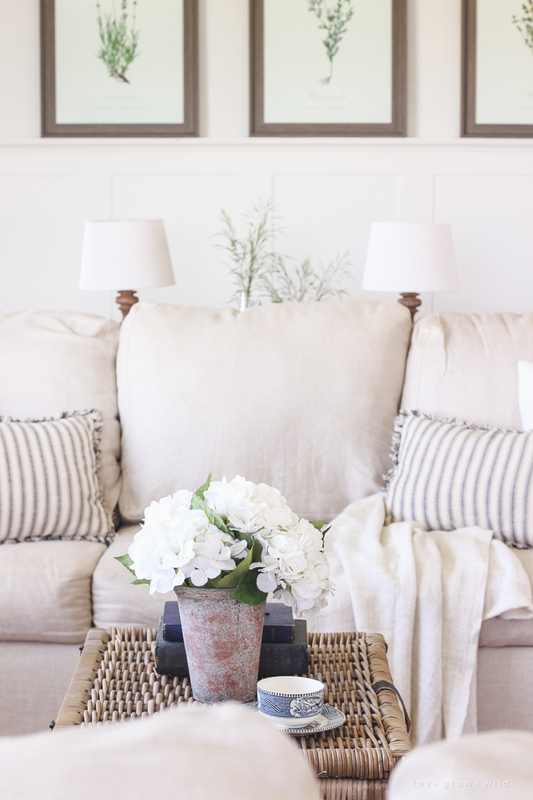 Hydrangeas on the coffee table are the perfect nod to summer. 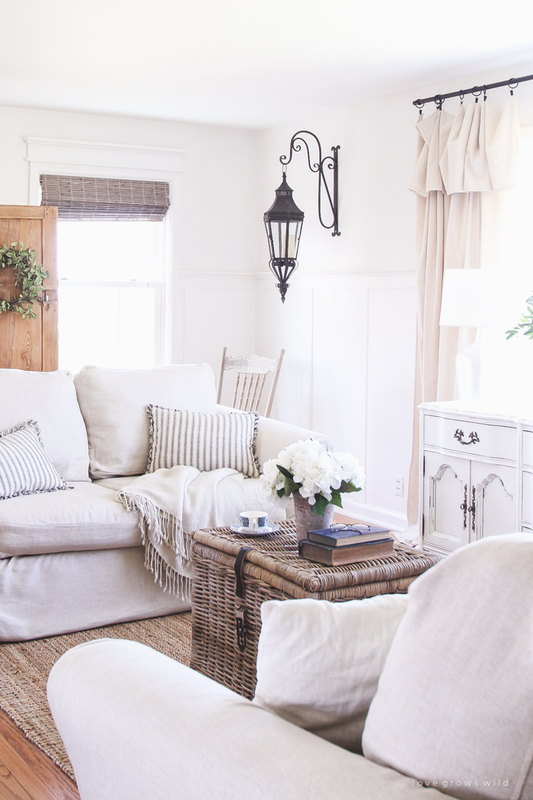 … that greenery on the console table behind the couch? Those are weeds from my backyard. One of the best parts of decorating this time of year is all beautiful things you can find right outside your door for free. 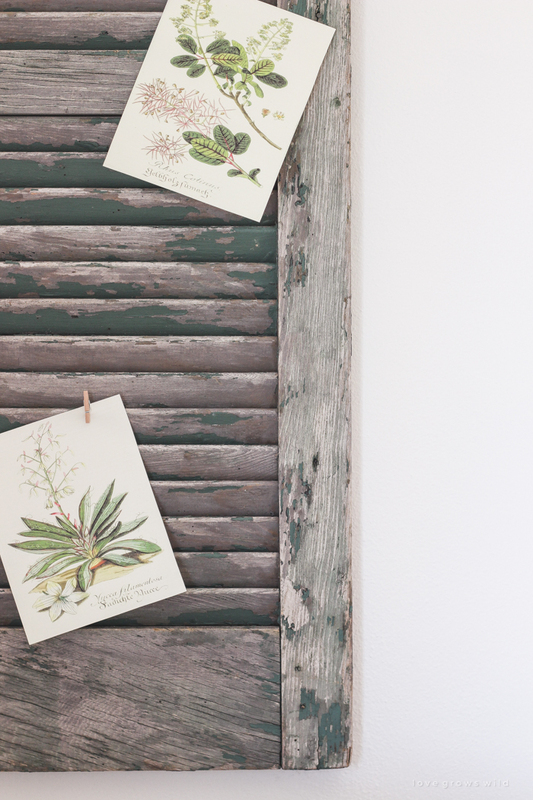 Tree branches, garden clippings, or even overgrown weeds that you haven’t had time to deal with yet… they make for some gorgeous natural accents in your home! 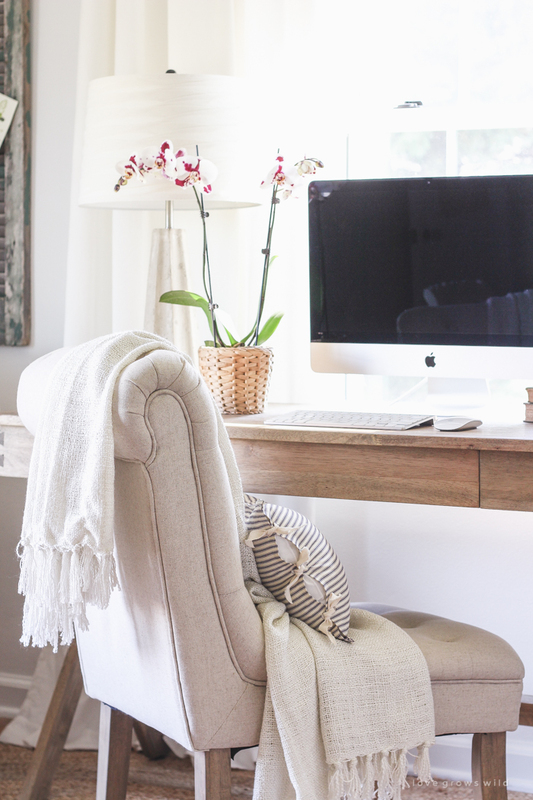 My office has changed quite a bit since the last time you saw it here on the blog, so I thought this would be a great time to share the updates! There was nothing wrong with the old layout (remember the big farmhouse table desk floating in the middle of the room? ), but one day I started shuffling some furniture around, and before I knew it, I had a whole new design that I loved. This layout gives me more room to work in, which is really the main goal for an office, so I think I’ll keep it for awhile! 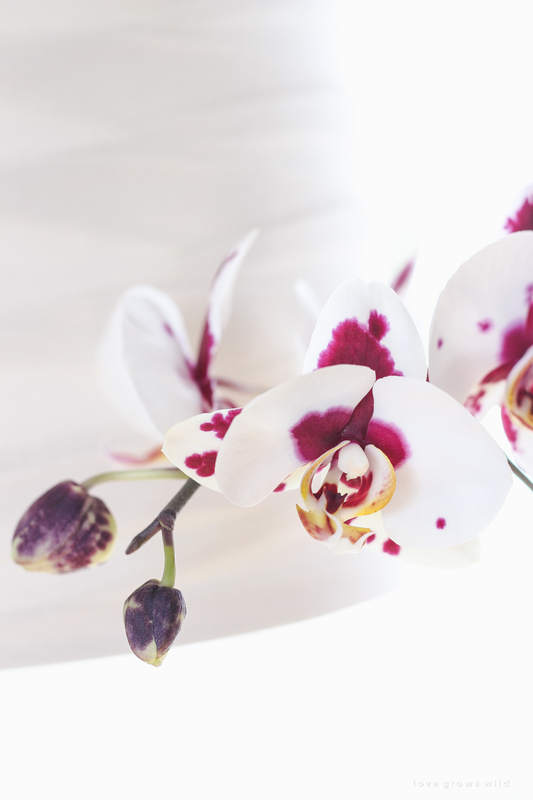 Jeremy bought me the most beautiful orchid recently that has been blooming like crazy. Isn’t the color fantastic? I now have a work table to do my projects on, a desk area, a cozy sitting area, and plenty of storage. 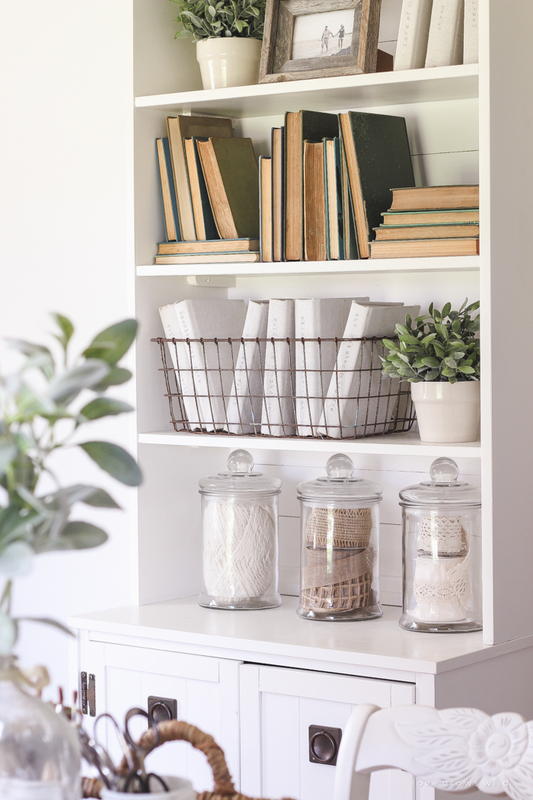 By the way, many of the pieces you’re seeing in this home tour are actually projects I made for my book! 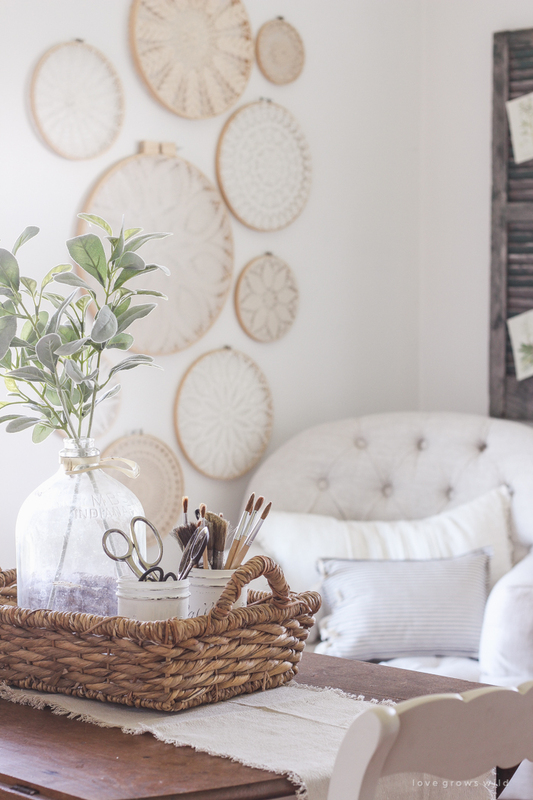 A Touch of Farmhouse Charm will be released on December 6th, 2016, but you can pre-order your copy now and find out how to make all these projects (like the doily gallery wall in my office)! The final stop on today’s tour might just be my favorite. 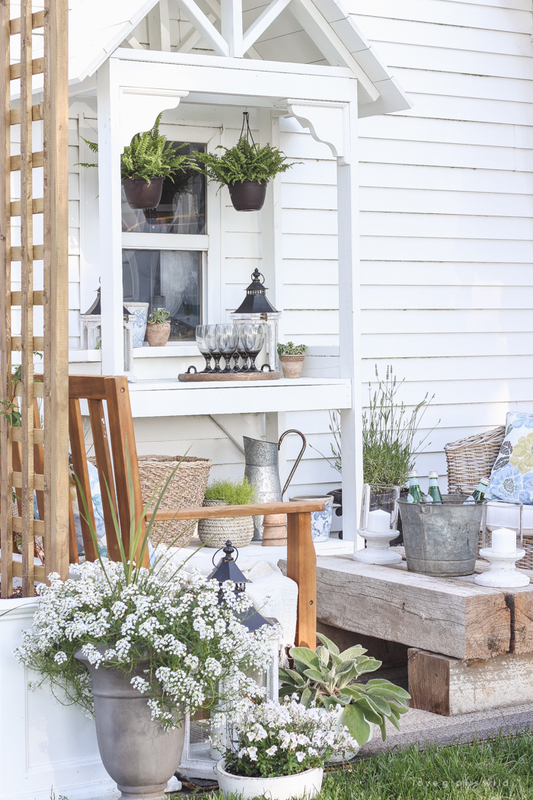 We recently gave our patio a big makeover, but I wanted to continue the “summer blues” I added throughout the rest of the house onto our patio as well. I added a few new pillows in a blue floral pattern and used some blue and white vases on the potting bench. A new rug in a cool, neutral shade helped tone down all the wood pieces on the patio, and my plants and flowers are all growing beautifully! I am so excited to relax out here with the family this summer! Thank you so much for stopping by our farmhouse today… it means the world to me to have you here! You can find where I purchased all of the items seen in this home tour in the source list below. 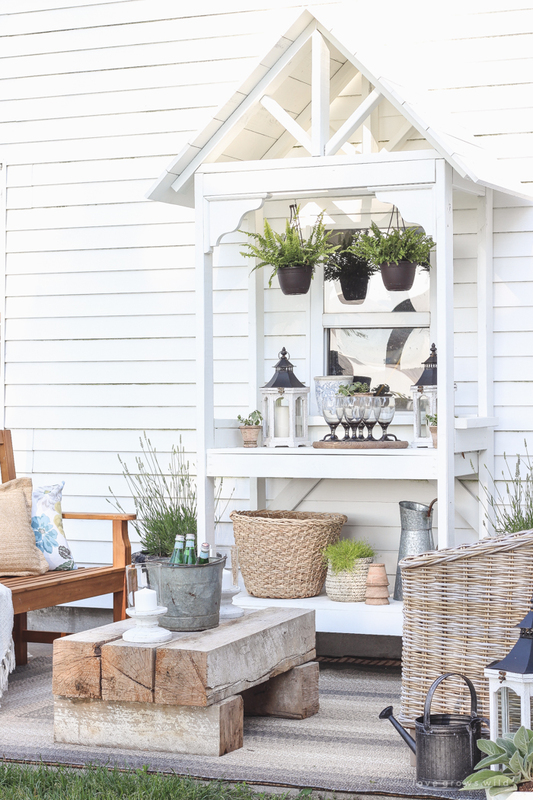 I want to thank Julie Blanner for hosting this amazing home tour, and I encourage you to follow the hashtag #celebratesummerhometour on Instagram! 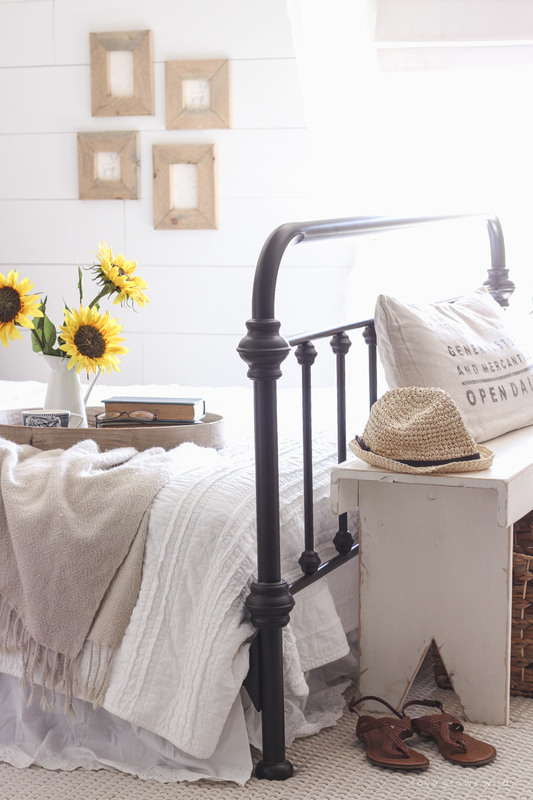 The next stop on the tour is the stunning home of Bre from Rooms for Rent… I’ll meet you over there! Love Grows Wild – that’s me! 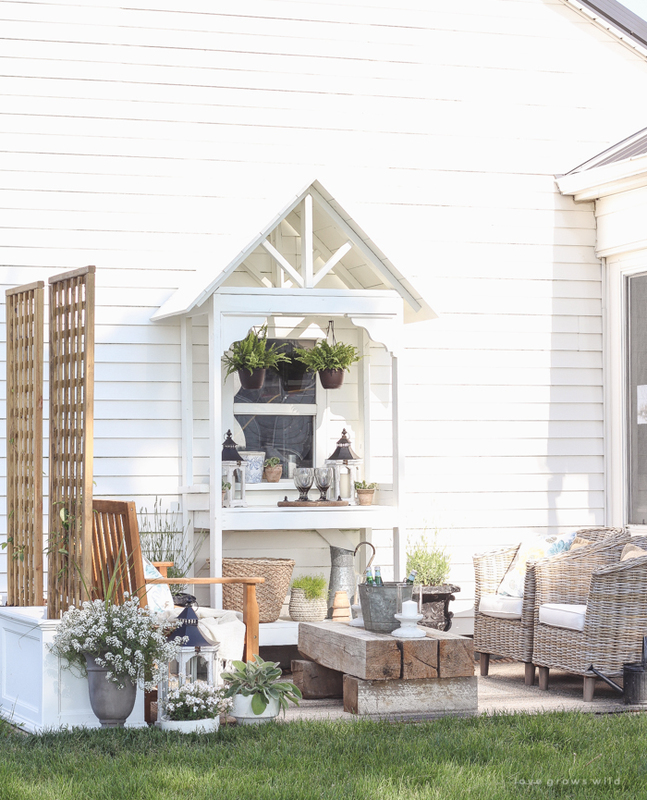 white bench – tutorial in A Touch of Farmhouse Charm! 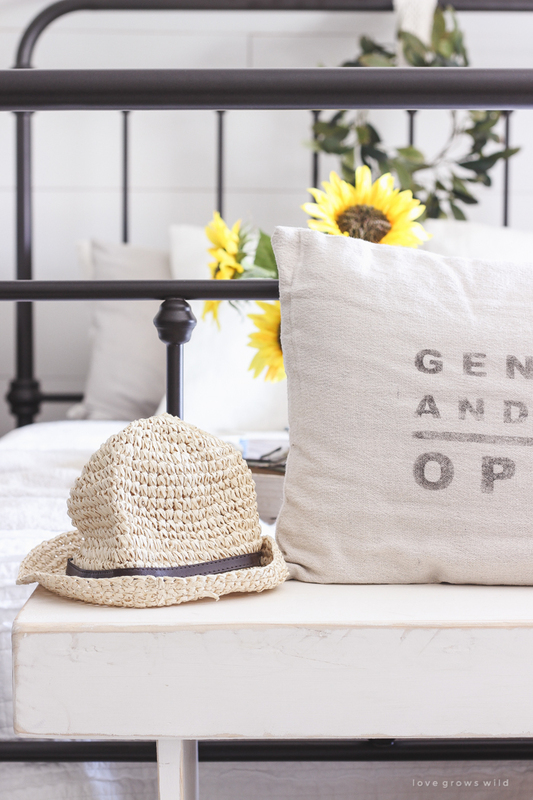 general store pillow – tutorial in A Touch of Farmhouse Charm! 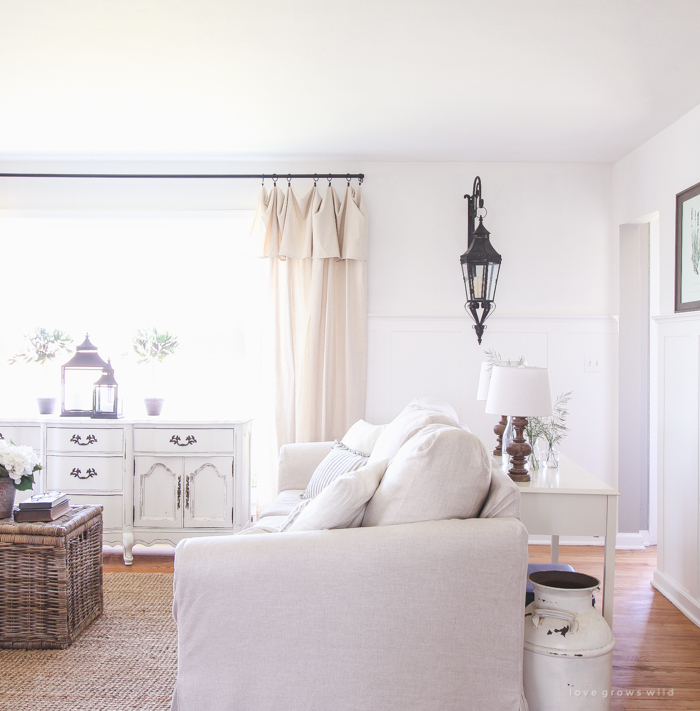 curtains – tutorial in A Touch of Farmhouse Charm! 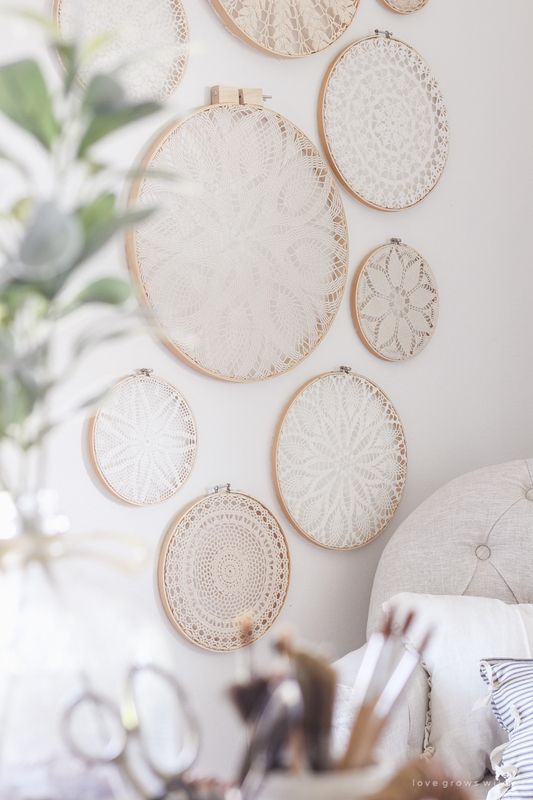 doily gallery wall – tutorial in A Touch of Farmhouse Charm! Liz, your home is not only beautiful, but feels so warm and welcoming. Thank you SO much for participating in my first home tour! I hope you have a summer just as beautiful as you! 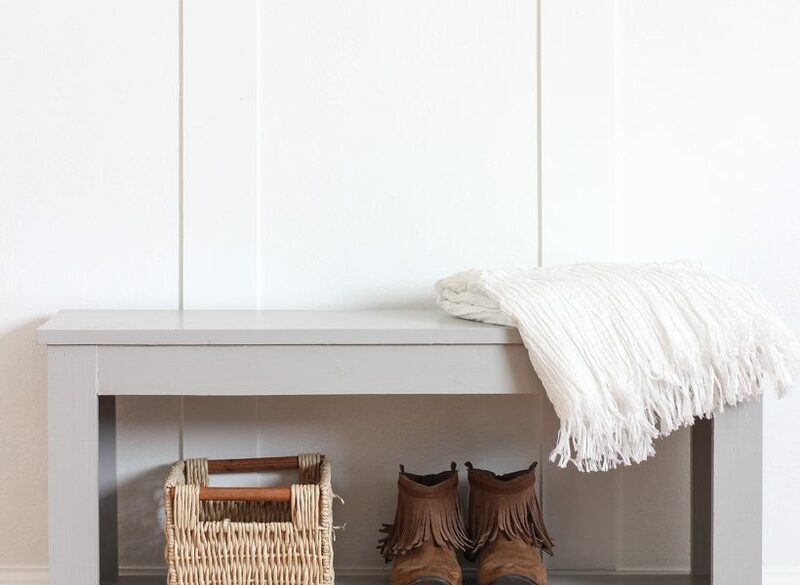 There are so many things to love about this – the way you nailed the relaxed, cozy, casual, fresh – the fact that less is truly more – the simplicity of a few great details from weeds to glass doorknobs – and leaving a pair of sandals out as part of the decor! I never thought of that but the labradoodle and I will be chatting about that today and the necessity of his cooperation. Thank you for sharing! 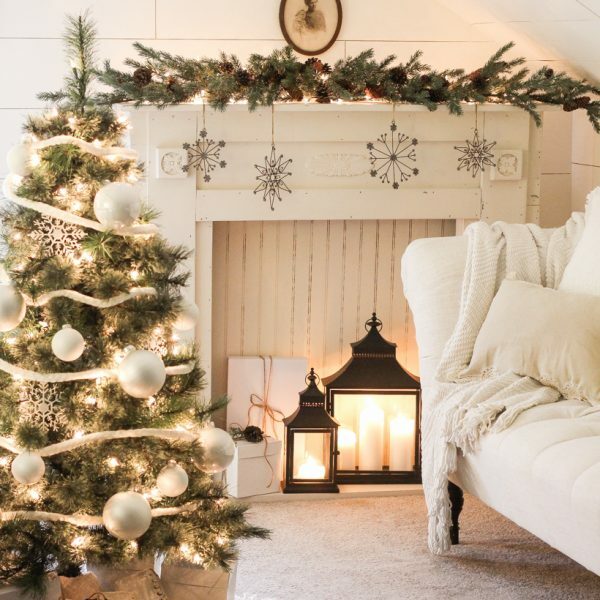 Love everything about your house! Thank you for sharing. 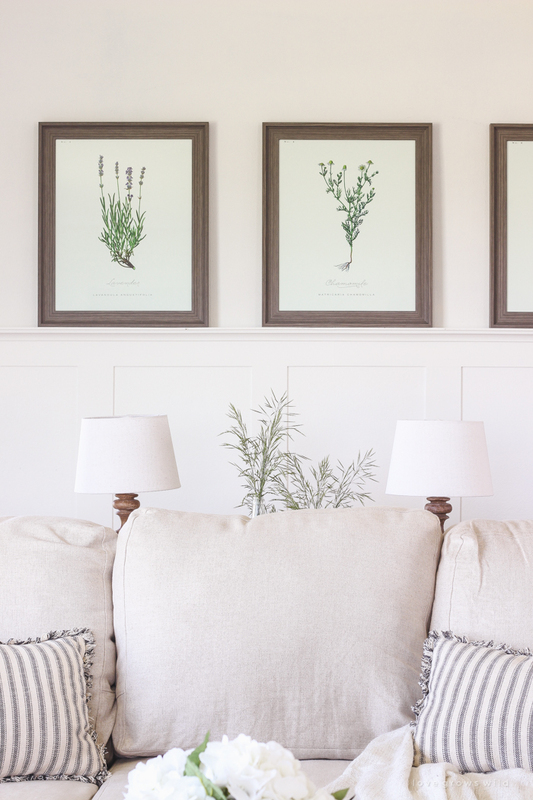 Can you tell me where you got your plant prints that are hanging in your living room? I have been looking for something similar for quite awhile. Once again you have inspired me. I love your home ! Can’t wait till your book comes out. I pre ordered it and I just may have to get an extra for my daughter in law. I’m sure she will fall in love with it too. Have a great summer with your family. I love your Summer Tour. So many great ideas. Where did you get the blue stripe pillow with the ties on side that is in several pictures? Love it! 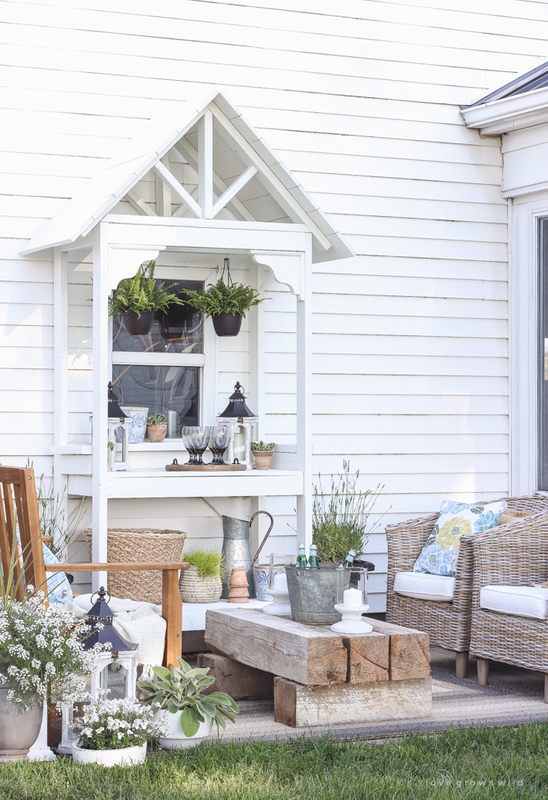 Good Lord, Liz, you have the most awesome home – and your pics are incredible. 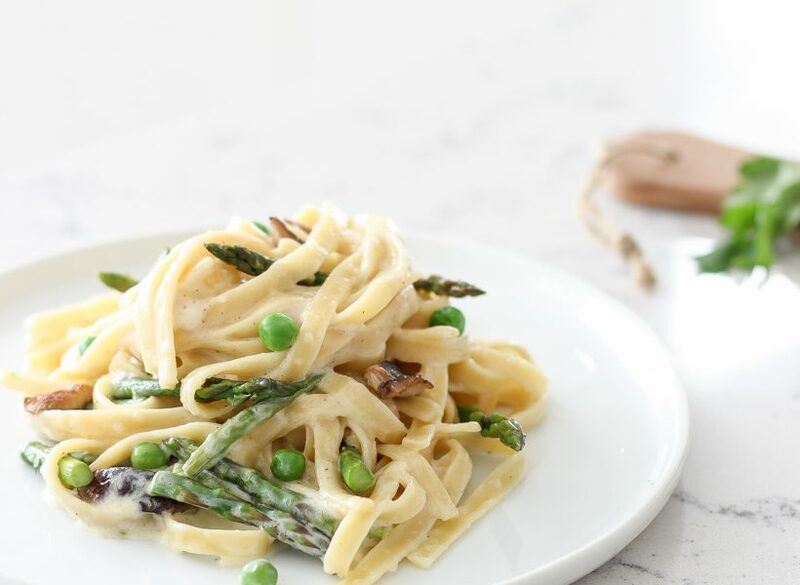 I absolutely love your blog post! I am so inspired! Well done with the tour and your designs – just wow. Breath-taking! Your home is absolutely stunning! 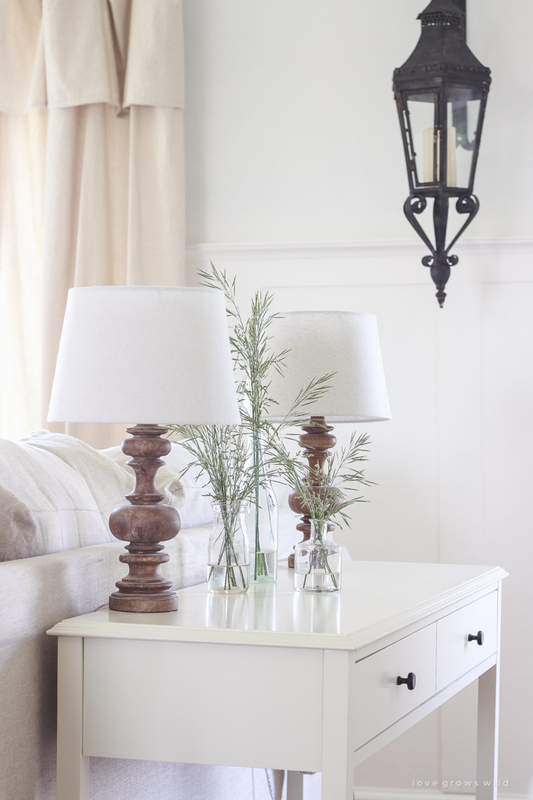 Love the neutrals with touches of subtle color. Just beautiful! 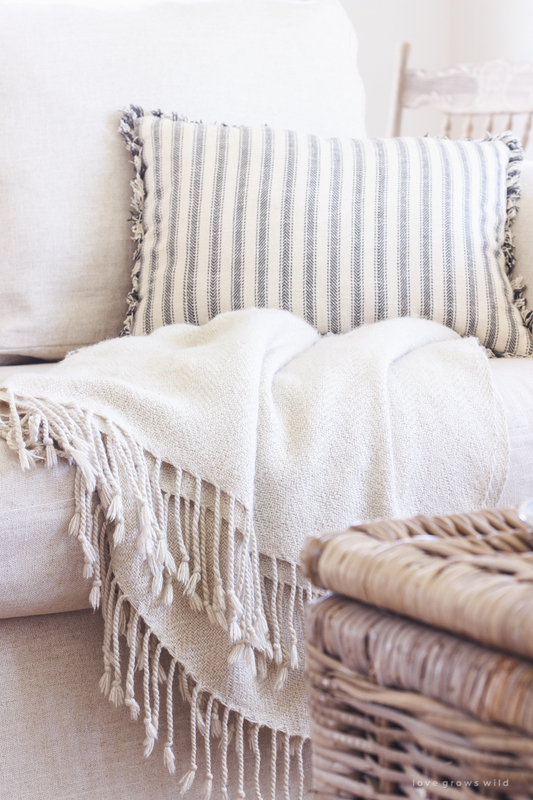 Love the softness of your home. Very beautiful & welcoming. 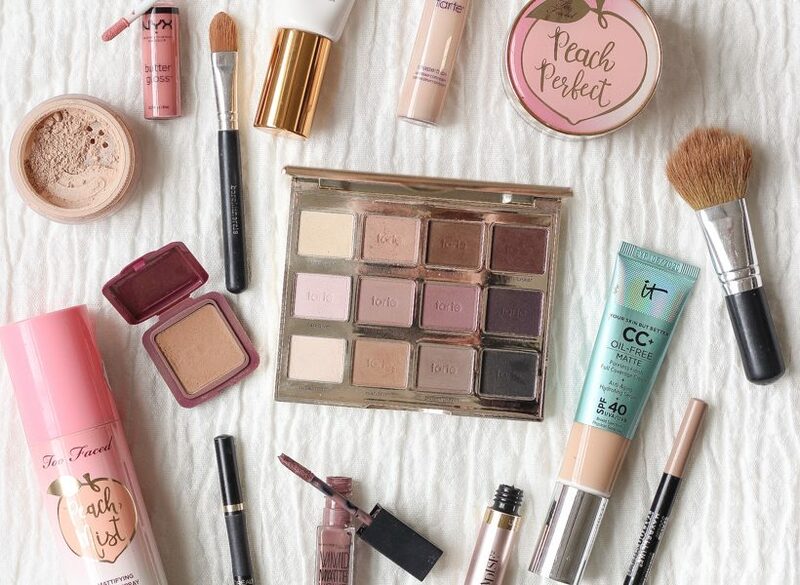 This entire presentation today is absolutely stunning! Beautiful! And what I love about your postings and works…they are just so pure…not uppity, impractical, beyond the average person.s means. It is just so real. Thank you so very much! 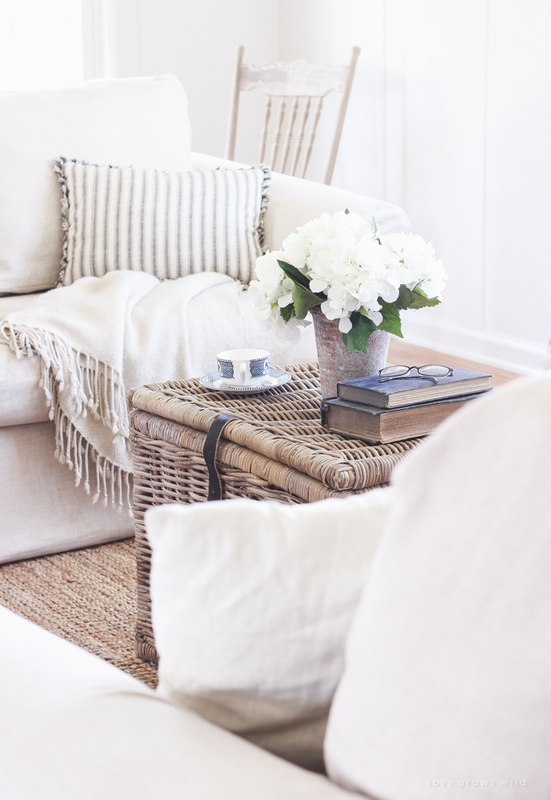 Your home is so beautiful and has been the major inspiration for my house makeover. You have no idea how much I appreciate you providing the sources for your decor – I have already purchased so many of the items (chair, lamps, bedding etc.) and my home is finally coming together. 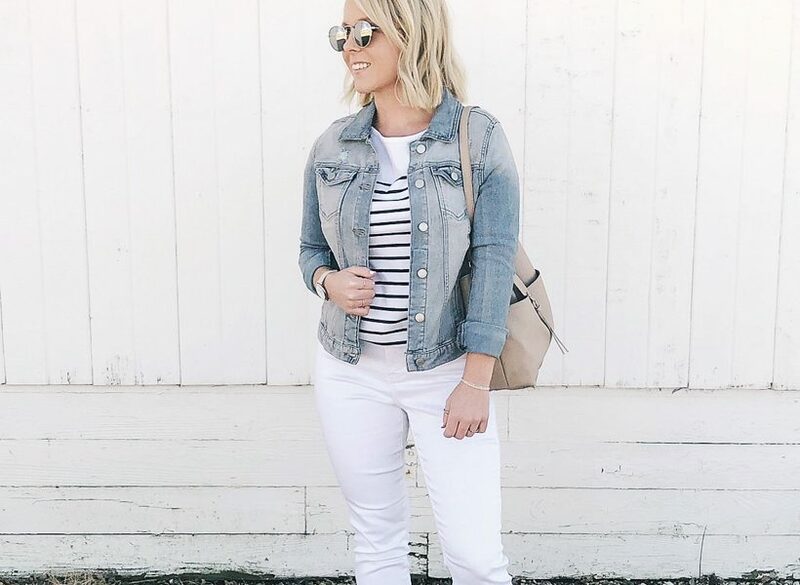 I constantly show your posts to my husband so he can see the direction I am going in and the look and feel I am trying to achieve. I can’t thank you enough for sharing with us – you have a wonderful sense of style and amazing creativity. After 18 years in this house, I am finally starting to love our home, and it’s all thanks to you! I LOVE your home!! 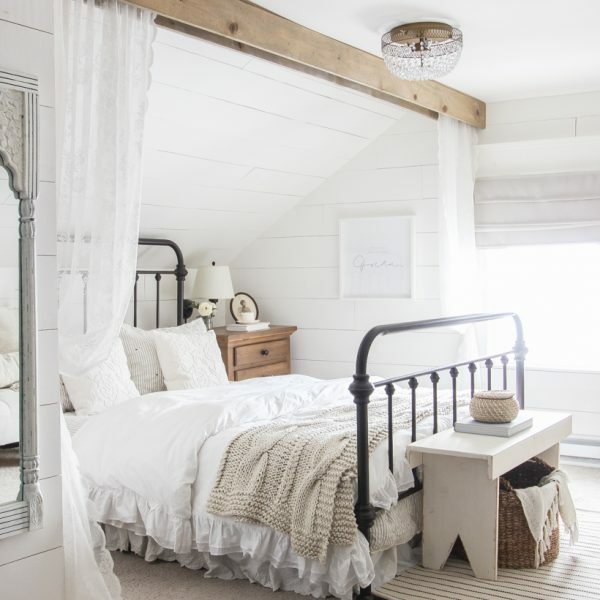 Please please please share what white paint you used for your walls? It is perfect!, thanks!! Hi there! You have such a beautiful home! 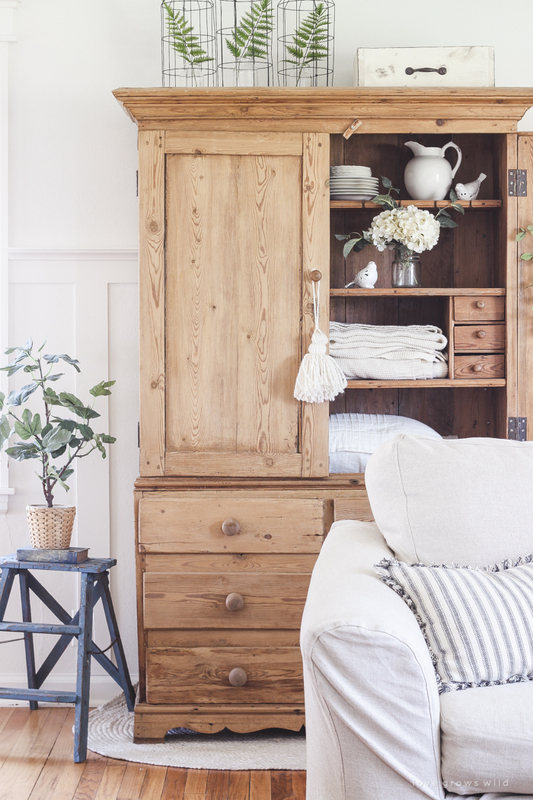 If you don’t mind my asking, where did you get that beautiful pine armoire you have in your living area? ?